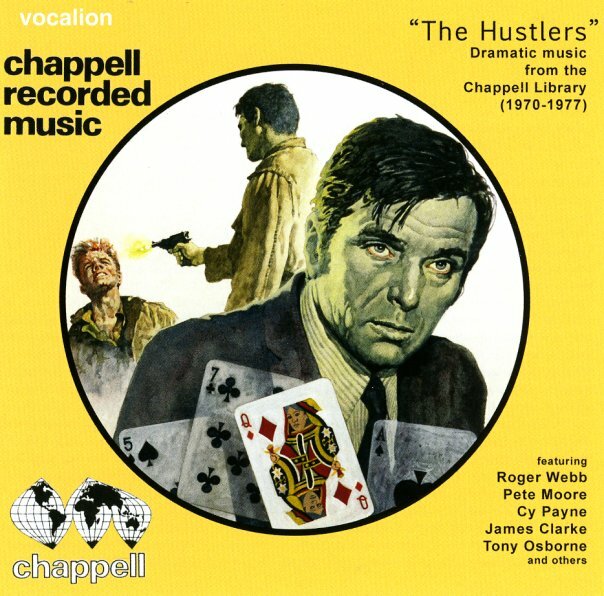 Dramatic music, but pretty darn groovy music as well – served up here in a set of work from the under-reissued Chappell sound library in the UK! The work here is full of jazzy currents, but often set to tight larger arrangements that have all the best appeal of the sorts of soundtrack material you'd get in 70s TV work – really appealing themes mixed with sharper action moments – served up in this wonderful blend of acoustic and electric instrumentation that easily rivals the best soundtrack material from the time by folks like Lalo Schifrin or Henry Mancini! We'd not heard most of these tunes before, and every one's a winner – in a set list of 23 tracks that include "Sky Diver" by Lee Mason, "The Bright Lights" by Roger Webb, "Countdown" by Cy Payne, "Magazine" by Jack Arel, "Rainbow Bridge" by Roger Webb, "The Sun Seekers" by James Clarke, "Top Gear" by Lee Mason, "Black Fire" by Cy Payne, "Downtown Incident" by Roger Webb, "Black Shadow" by Pete Moore, "Breakaway" by Tony Osborne, and "The Hustlers" by Roger Webb. © 1996-2019, Dusty Groove, Inc.